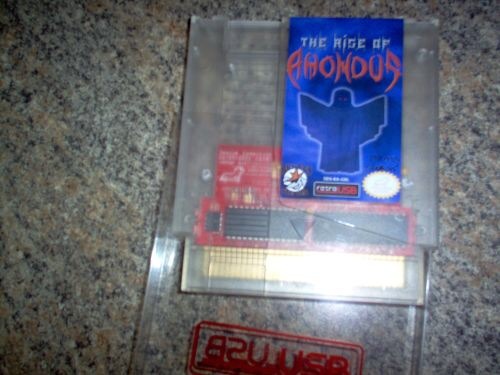 The Rise of Amondus was released in late June 2015 by Sly Dog Studios and is the prequel to the critically acclaimed NES game The Mad Wizard. The story follows the evil summoner Amondus who is attempting to take over the land of Prim with his evil minions. As he traverses the land, he captures and transforms the happy-go-lucky goblin folk into beings of evil to do the summoner’s bidding. Seeing how the ominous setting from The Mad Wizard came to be is a really cool aspect and is something rarely, if ever, done on a NES game; definitely the first for an indie homebrew game. Going through a game as the antagonist is another thing that doesn’t happen often and is a very fresh change of pace. The style of gameplay in The Rise of Amondus is that of a horizontal shooter. However, this isn’t your typical shmup style game. First off you have a goblin quota that you must attain in each level in order to progress to that level’s boss fight. 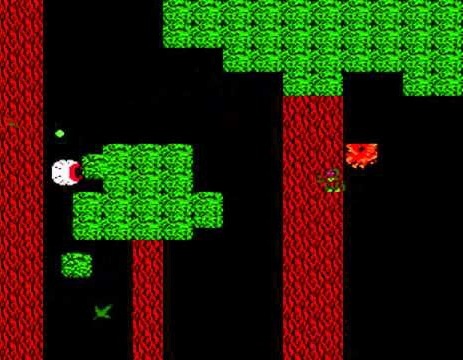 In order to capture goblins, you must hold the “capture” button to move a cursor over them and press the attack button. This causes General Rant to swoop down from the sky and carry the goblin away. You must do all this while still avoiding all the obstacles that are coming at Amondus, making the game a bit more strategic in nature. Once you meet your goblin quota, or whenever you want to have extra firepower, you can press select to switch from the cursor to “Charwit mode”; which acts like an option of sorts if you are familiar with the Gradius series. Using Charwit gives you two shots instead of one and he is essentially invincible. As a bonus, a second player can join in and control the reticle or Charwit, making this an interesting take on a cooperative action game. 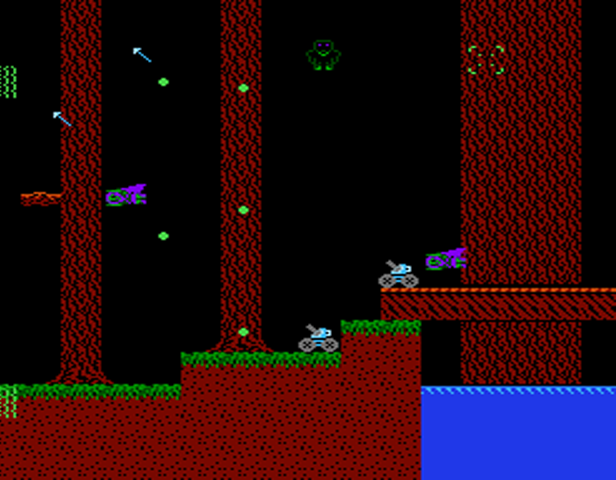 The second player is basically invulnerable and has the freedom to move wherever they want on the screen. This actually makes this the most enjoyable and easiest way to play The Rise of Amondus; really assentuating on the teamwork aspect. Another thing to note with the controls is that once you are near the center of the screen, your shot transforms from a single shot to an upward or downward spread. This shot can be useful, however it is something that you must get used to, otherwise you’ll find yourself missing shots and racking up a few deaths. The music in The Rise of Amondus has a lot of bass to it and fits the whole “evil overlord taking over the world” atmosphere pretty well. As usual, Sly Dog Studios creates a memorable soundtrack and really needs to release this on a vinyl record! Sound effects are few, but when they do occur they are very appropriate as well. What’s very interesting to note is that after you finish the game, you can continue playing in order to rack up a higher score. This was an added little bonus and is sure to appeal to those people who want an extra challenge after they have mastered the game mechanics; leading to world record opportunities. Overall, The Rise of Amondus does a few things that have never been done in a horizontal shooter before. Two player single character coop is really fun to do and highly recommended for maximum enjoyment. However, playing this in single player mode requires you to get used to multitasking a bit more than you might be used to. Once you do get the hang of it though, the game is extremely addicting and you’ll be humming the tunes for many many moons. You can buy The Rise of Amondus at retrousb.com! This entry was posted in Articles, Homebrew / Indie Game Reviews, Uncategorized and tagged homebrew, NES, nintendo, Rise of Amondus, sly dog studios, the mad wizard. Bookmark the permalink.